If you read about the success stories of indie authors, you’ll see that many of these authors benefited from a backlist. A backlist consists of books that the author had written previously. Authors who have been struggling to publish traditionally for several years have a backlist, which includes rough drafts and proposals for several books. Writers who have been writing for a hobby sometimes have a backlist—i.e. books that they’ve completed, but have never done anything with. 2008 was a great time to be an author with an extensive backlist. The indie revolution was just getting underway. CreateSpace, Kindle, and Smashwords were unlocking doors. Authors with a backlist who self-published hit the market with several books in a short period of time. Few customers were aware of self-publishing. There was much less competition. 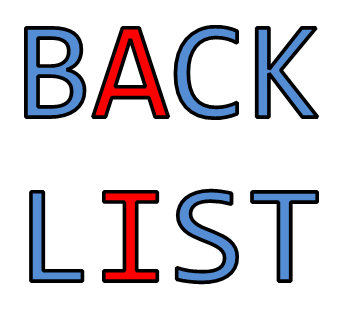 A backlist then gave indie authors a huge advantage. A backlist can still be powerful today. With several [good] books on the market, you [can] look like a professional author who is serious about the craft of writing. Readers see that if they try your book and like it, there is much more where that came from. Some customers will buy multiple books at once. Customers who like one book may try your other books. Your books appear one on another’s customers-also-bought lists. Having already written all these books when you first publish, you can mention all of them in the front or back matter of every book. In these ways, your books help to market one another. You skip that long period where you’re starting out with just one or two books available, looking like a newbie author. Whatever sales you would have with just one or two books, you’ll have more with several [marketable] books. You’re not just marketing one book; you’re marketing multiple books. Anything you do in the way of marketing helps to stimulate more sales than if you just had one book. These things help to give each book a more solid sales rank when it starts out, which helps each book’s visibility. Completing a few books before you start publishing, you’re a more experienced author before your books hit the market. You also have the opportunity to solicit feedback, benefit from a writer’s forum, start a blog, build a following, build buzz for the release of your books, get your social media started, learn more about publishing, etc. There are many benefits to starting out looking like a complete, professional author, compared to starting out with one book and then learning about book marketing. Too many authors who publish one book make the mistake of viewing it as an experiment. If you don’t put your best effort into the book, into cover design, into formatting, into editing, into marketing, and into spreading the word about your book, the results of the experiment will be meaningless. In contrast, the author who publishes a backlist of a half dozen books that he or she has been working on for years takes publishing very seriously. This author is more confident, more determined, more motivated, more diligent, and won’t give up easily. This author will also, in general, put more effort toward the marketability of the book (i.e. perfecting the cover, blurb, editing, formatting, and writing). The author is also more likely to research which kinds of books sell and how to write a highly marketable book. A fictional series might work better to release one volume at a time. As the popularity of the series grows, this helps to create buzz for the next volume. Most nonfiction series probably works best to release several books together (unless it reads more like fiction). A set of similar books, in contrast to a series, might work better to start with several books at once. I started writing books, drafts of books, putting together book ideas, preparing worksheets, and drawing illustrations on the computer back in the late 1980’s. I published my first book in 2008. That gave me twenty years to prepare an extensive backlist. I didn’t plan it that way, but I benefited from this. This huge headstart is how I have published as many books as I have. I published the Improve Your Math Fluency series of math workbooks starting in 2009. I released several titles in a short period of time. Customers didn’t view each of my math books as a book, but as part of an extensive series. This definitely helped. Also, it was very clear from my royalty reports that more customers bought several books from the series at once than bought just one book. All of the books in the series were showing on each other’s customers-also-bought lists in a short period of time. Comparing 2013 to 2008, most people know about self-publishing now, whereas few knew about it then. Yet there is much support for indie publishing now, since there are numerous indie authors plus their family, friends, and acquaintances, many of whom support the concept. There is much more competition now. Many authors who had a backlist and published around 2008 turned into success stories that inspired many other authors to try self-publishing out. There are now millions of indie books on the market. Unfortunately, most self-published books sell fewer than once a day on average. Only the top couple hundred thousand books sell once a day or more on average. There isn’t too much more competition at the top than there had been, which provides a good opportunity for highly marketable books. A backlist of highly marketable books can help you rise toward the top. The most significant change recently is the role of the traditional publisher. Originally, self-publishing was more of a minor nuisance and inconvenience. People in the publishing industry either ignored it or miscalculated the effect of trying to market a lousy image for self-publishing and a great image for those exclusive authors who publish traditionally. They also kept their e-book prices high, which left the door wide open for indie authors. They went with traditional marketing, i.e. book reviews in major newspapers and televised author appearances, feeling that professional marketing gave them a big edge over indie marketing. Many successful indie authors tap into many more marketing resources and show more creativity in their marketing. One big factor is that the indie author feels a greater need and sees a more direct benefit for the marketing. Recently, more traditional publishers have explored the effect of more affordable indie pricing. More traditional authors and publishers are starting to take advantage of the marketing opportunities that until now have mostly been sought out by indies. Some traditional publishers are starting to adapt more effectively to the publishing revolution. This will in turn change what indies need to do to succeed in the publishing business. Starting out by publishing a backlist is one way to potentially begin your writing career with a healthy headstart. Should you wait to publish? If you have one or two books in progress now, nobody is twisting your arm to publish your book at the earliest possible moment. There is no harm in waiting. In fact, there may be several benefits to exercising much patience. You could choose to spend a couple of years putting a professional online platform together, learning publishing tips, growing a following, receiving feedback, building buzz, preparing a backlist, and perfecting your books. Starting out looking like a serious, professional author with a complete author package may outweigh the benefits of getting one or two books on the market quickly. Which will be better depends on your unique situation, and also depends on exactly what happens in the future, which, of course, isn’t entirely predictable. When I was a teenager, I would have enjoyed reading a good book by one of my peers. It’s easier for teens to relate to teen writers. Most people who write about teen writers focus on the benefits of older writers having more wisdom and life experience. These are great points. But there are also advantages to teen authors writing to a teen audience in terms of being easy to relate, having a more hip style, being more lively and energetic, and being at that point in life where you have big dreams and wondrous curiosity, etc. But I also know that as we grow older, we sometimes look back at our earlier writings in a different light. Some writers who publish at an early age come to regret it later. There’s always the pen name as a back-up. It’s generally easier to market in your own name, but if you write as a teenager and regret it later, you can always start over with a pen name. The idea of a backlist might tip the scale in the favor of waiting a couple of years until you have a half-dozen books ready. I think this advice is spot-on. I waited to publish my first book until I was just starting the first draft of my third and those first two years that I spent doing nothing but writing really helped to build up my confidence. Not only that but it solidified this commitment I was making to myself to turn writing into a career no matter what. Now with three books for sale, it shows me as well as my readers that giving up just isn’t an option and that I’m not just a writer but a career author. It’s been a year since I published my first book and even though I’m still trying to conquer my obscurity every day, I am starting to reap the benefits of having a backlist and have noticed that after reading and enjoying one of my books, readers are starting to buy the others. Great post. One of the benefits of an indie author is you can build a backlist quicker than a traditional publisher. I doubt I’d be able to have 3 novels, 1 novella, and 1 poetry book out in a year if I wasn’t running my own show. My favorite part of your advice here is to not look at the first book as an experiment. I once said that and it nearly caused me to make bad decisions because I didn’t take it seriously. That’s true. Indie publishing eliminates production time. It would also be very difficult to get a traditional publisher to publish a backlist for a new author, as it would seem like much more risk than just publishing a single book (although if the books are quite marketable, a traditional publisher has the same potential benefits to reap). I think a downside to the quick production time is that many indie authors put out their books with minimal editing. Some try for the quantity over quality approach in the hopes of something sticking. Great post! Thanks for sharing your advice. You’re welcome. 🙂 Publishing ‘secrets’ don’t make any sense to me. I feel the more authors who succeed, the better for everyone. This is some really great advice. I especially think it’s important to make sure your book and platform area as professional as possible, not just an experiment, as you mentioned. Congratulations (and thank you for the nomination). Happy New Year, Bette.